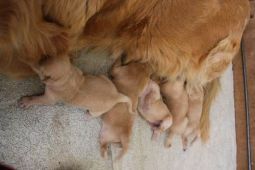 Golden Retriever breeders links and breed information on pups4sale.com.au. The Golden Retriever is one of the most popular dog breeds today because of its lovable personality and ability to learn very quickly. They are owned by people all over the world and are rarely considered anything less than great dogs. The breed was originally bred to be great retrieving dogs in Great Britain in the 1800s, but in the early 1900s they became very popular as common house pets because of their ability to quickly adapt and live with families of all sizes. 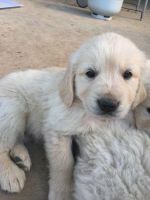 Thanks to Fernfall Kennels for the pictures of Golden Retriever puppies & adults used on this page, and the additional information provided. 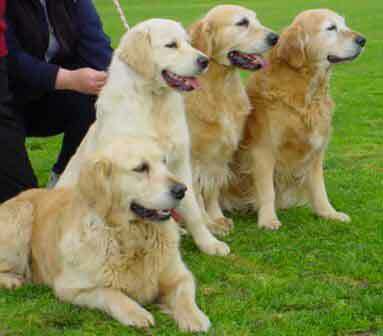 Golden Retrievers are medium-sized dogs. Males generally get up to about 2 feet tall and weigh up to 80 pounds, while females are a little bit shorter and weigh up to 70 pounds. Goldens have a heavy, water resistant coat. Some have extremely wavy hair, while others have very straight hair. 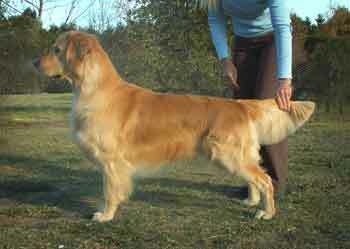 In terms of color, Golden Retrievers can end up having light gold to dark gold hair. There are some Golden Retrievers that have white hair, but this is rare. While they may not look it because of their thick coats, Golden Retrievers are quite muscular and powerful. They have great stamina and are very fast dogs for their size. The Golden has long been known as one of the best family dogs around, and for good reason. They are generally happy dogs by nature, so they are good with their owners, strangers that come over, and even other animals. They will grow attached to their masters, but in general they will love anyone that they come into contact with because of their natural trustful instincts. Puppies are known for tearing things up around the house because of all of the pent up energy that they have. While this is a major problem with some other breeds, Goldens usually leave this issue behind because of their ability to learn on the fly. It is a good idea to puppy-proof as much as you can, though, when you leave a young pup alone in the house, though. With children, there aren't too many breeds that can match the Golden Retrievers patience and love that they show with the little ones. They are as gentle as dogs come, and love to run around with kids to both release the energy that they have and to please the children to the best of their abilities. They generally don't have an aggressive bone in their bodies, so even if kids get a little too rough, Goldens will never react in an aggressive manner. Their instinct to trust people means that they will not make for the best guard dogs. A Golden Retriever being aggressive in any kind of way is considered rare, but they are smart enough to alert their owners if they sense that something is amiss. While this may seem like a good guard dog instinct, they are not as quick as other dogs at knowing when there is a bad person around because of their trustful nature. One thing that many owners find is that they definitely do not like to be left alone. While it's okay to leave them in the house for an hour or two, anything past that and you run the risk of a younger dog getting frustrated and ruining the house in one way or another. They are some of the happiest dogs in the world when people are around, so it shouldn't be surprising that their mood shifts when they don't have a companion to interact with. In terms of intelligence, there are only a few breeds in the world that can be considered smarter than the Golden Retriever. Even when they are puppies, Golden Retrievers can quickly figure out how to play games because of that instinct that they have to please. There are only a few breeds that can learn more commands than the Golden Retriever. 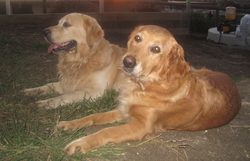 Some dogs can be pretty tough to train, but that is rarely an issue with Golden Retrievers. These dogs always want to make people happy, so once they understand that following commands will earn them treats and praise from their owners, they are quick learners. The Golden Retriever is the most popular therapy dog today, so that should tell you how easy it is to train them. The only common issue that comes up with Golden Retrievers when it comes to training is their ability to walk while on a leash. They will tug on the leash unless they are taught very early on how to properly go on walks. Even then, there are many cases where Golden Retrievers just can't figure it out. 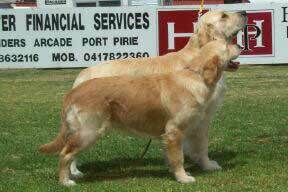 Golden Retrievers are extremely sensitive dogs, so aggressive training will rarely work on them. They learn by calm repetitions and they learn quicker when they are rewarded every time they do something he correct way. Golden Retrievers need plenty of exercise to be happy dogs. They're completely content with a couple of daily walks where they can sniff and run around a bit, but they especially love to retrieve, as their name implies. They love going on hikes, retrieving sticks in the water, or even following along while people go on bike rides. This is one breed that can live in a smaller environment, but without regular exercise they will grow restless and eventually gain weight. They are full of energy, so they need to burn off that energy to be content. If they aren't given regular walks, they will attempt to burn off all of their energy inside of the house. As mentioned, the breed can have very long hair, so it's important to brush it regularly to avoid matting and tangling. Just about every individual sheds a lot, but regular brushing can limit the amount of hair found throughout the house. Any dog with longer hair needs to be bathed more often than short haired dogs, which is definitely true with Golden Retrievers because they are so energetic. Not only will regular baths keep their coats in great shape, it will also keep them from emitting smells that are common to long haired, lively dogs. They have long, floppy ears, which can lead to many types of ear issues. The ears should be checked and cleaned at least once a week to avoid all of the issues that can arise. Their nails can grow quite quickly even if they go on many walks, so they should be trimmed at least once per month. 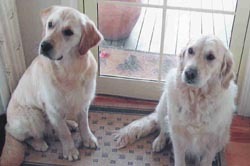 While regular walks will help to grind the nails down naturally, a proper trimming will ensure that the Golden is always comfortable. Golden Retrievers generally live between 10 and 12 years, but can live longer if they avoid the health problems that typically come to this breed. The two most common diseases that afflict this breed are hip dysplasia and obesity. While hip ailments are a genetic issue for the breed, obesity can be avoided with regular exercise and a recommended diet by their veterinarian. 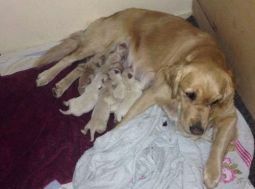 Golden Retrievers absolutely love to eat, which is why owners must make sure that they are not overfeeding them. They eat to both please their stomachs and their owners, so it's not surprising that they will continue to eat until their food bowels are empty. This is one breed that can be just as perfect for both big families and single adults because of their ability to adapt and love just about anyone. People who want to stay active with their dogs and train them properly from an early age will definitely be a great match for a Golden Retriever. The best owners know that the first couple of years will be tough and require patience because the breed is known for tearing up houses when they're bored. This patience is well rewarded in the long run once the Golden becomes an adult and the perfect human companion. 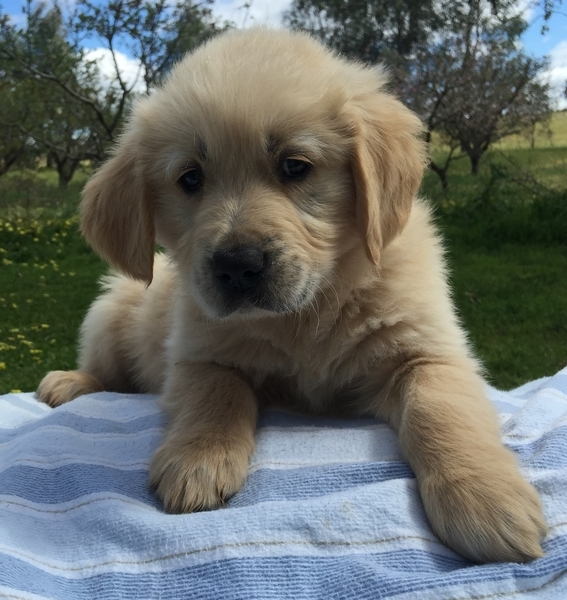 If you are willing to be patient and allow a Golden Retriever time to flourish into the great dog that it will become, this breed is probably right for you. While it's true that Golden Retrievers will love whoever owns them, people who can't give them regular exercise and attention will not make this breed as happy as it can be. There are certain breeds that are comfortable being in the house sitting around most of the day, but the Golden Retriever will get anxious and uncomfortable if it isn't allowed to exercise daily and often. If you don't have the time that it takes to properly train a Golden Retriever, there are plenty of other dog breeds that don't require as much of your attention. All in all, the breed is a well-rounded dog that should continue to be one of the most popular breeds around because of its great personality and ability to adapt to just about any environment. 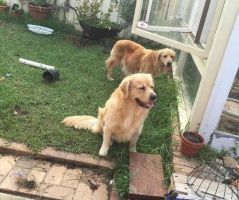 There aren't too many breeds that can match the Golden's intelligence and companionship, which is why it is no surprise that people all over the world love this breed.